Having previously added the “City” jerseys NBA 2K19 has now turned to introducing the just-revealed “Earned” Nike uniforms. These are special alternates exclusive to the 16 teams that made the playoffs the previous season. Stylistically however they are just their respective City or Statement jerseys with different coloring. 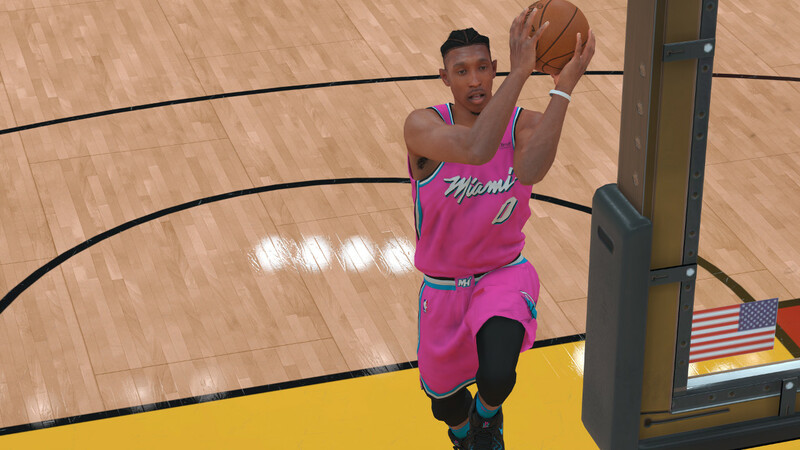 Due to the recent patch these and all other jerseys added to NBA 2K19 should show up in ongoing MyGM/MyLeague/MyCareer saves. Teams with the “Earned” jerseys: Warriors, Cavaliers, Rockets, Celtics, Jazz, Spurs, Wizards, Timberwolves, Thunder, Blazers, Raptors, Heat, Bucks, Pacers, Pelicans, 76ers.